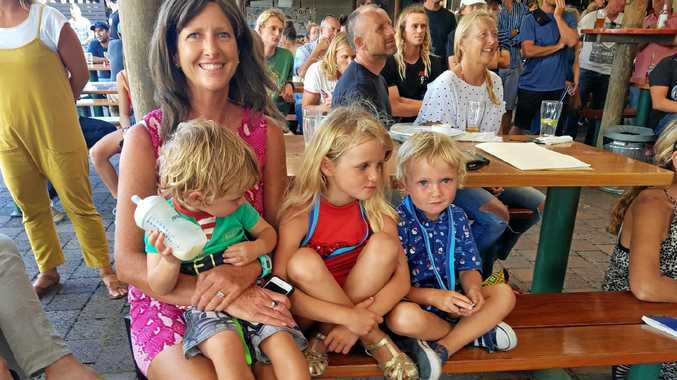 HUNDREDS of thousands of Aussie households face a $7000 hike in home loan repayments as new rules bite hard, and it could cause trouble across the whole economy. Every year for the next three years, up to an estimated 200,000 home loans will be moved from low repayments to higher repayments as their interest-only loans expire. The median increase in payments is around $7000 a year, according to the RBA. Interest-only are known as riskier loans, but they became a big deal in Australia quite recently. In 2015 it reached the point where nearly 40 per cent of new home loans were interest-only. Borrowers weren't paying back the money they borrowed (the principal), just the interest. Then, in 2017, the government cracked down hard on interest-only loans. Those loans generally have an interest-only period lasting five years. When it expires, some borrowers would simply roll it over for another five years. Now, however, many will not all be able to, and will instead have to start paying back the loan itself. That extra repayment is a big increase, as the next graph shows - even though the interest rate falls slightly when you start paying off the principal, the extra payment required is substantial. The column on the right, showing Principal and Interest Payments (P & I) is higher than the column on the left showing Interest Only Payments (IO). The difference amounts to $7000 a year for the median borrower. Not everybody whose loan expires will have to start paying back the principal - some will be able to convince the bank to keep their loan as interest only. However, a huge glut of people will be forced off their cheaper interest-only loans over the next three years. 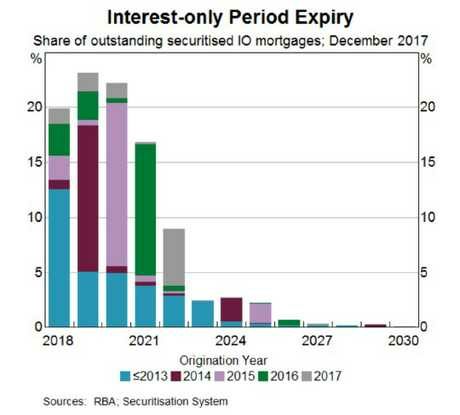 About $120 billion worth of interest-only loans are set to roll over each year, with 2019 the expected peak, as the next graph shows. The plan to crack down on interest-only lending was a way to prevent Australia's housing market from getting even more bubbly. Which was not a bad idea. But of course, every solution causes its own problems. The end of so many interest-only loans might not be an easy time for the country. Many people using interest-only loans are investors. They like those loans because interest payments are tax deductible. But some owner-occupiers use interest-only loans too. What happens if people can't afford the big hike in loan repayments? 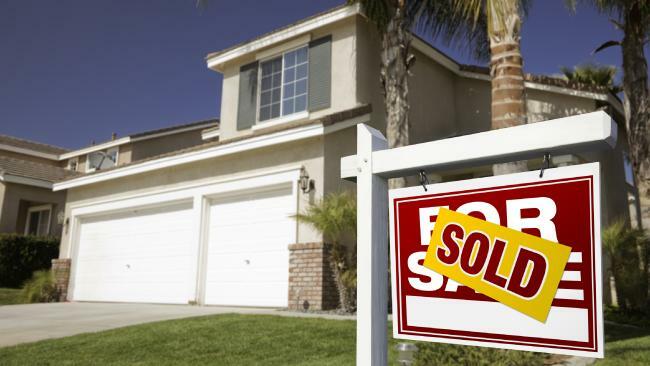 They may have to sell up, which could see a wave of houses being sold into a falling market. The RBA has been paying careful attention to this because the scale of the issue is potentially enough to send shockwaves through the whole economy. 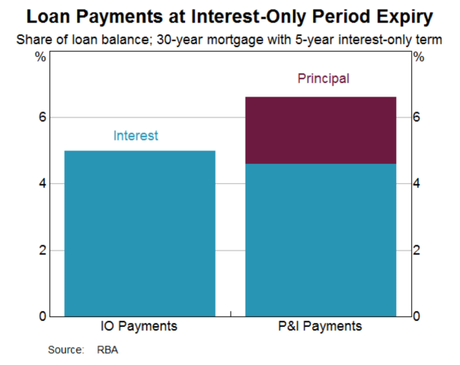 "Currently, it appears that the share of borrowers who cannot afford the step-up in scheduled payments and are not eligible to alleviate their situation by refinancing is small," says the RBA. But don't relax yet. "Over the past year, some banks have reported that there has been a small deterioration in asset quality …. That share could increase in the event that an adverse shock led to a deterioration in overall economic conditions." It is clear that the interest-only time-bomb is another risk that will get worse if Australia's economy gets the wobbles. Even if they don't sell up, people who hold interest-only loans will be forced to find the money to pay back their loans. That will divert money from other places. The RBA tried to measure how high the impact could be across the whole economy, and figured out it would be at most just 0.2 per cent of all household spending. "This upper-bound estimate of the effect is relatively modest," the RBA said. Which is all well and good, but when household spending is already a bit slow, we could use all the help we can get. I'd much rather see a 0.2 per cent boost to household spending than the reverse. But that, it seems, is not going to happen.